I remember very distinctly the first time I had the pleasure of wielding a very sharp, good quality knife. I was in my early twenties, at a cousin’s place who had recently gotten married and consequently her kitchen had gotten a significant upgrade thanks to all the generous gifts from her wedding registry. We were assembling kebabs for dinner and she asked me to cut up a zucchini. I grabbed a chef’s knife and started chopping. But after I made the first cut, I stopped speechless and looked at the knife. Cutting the zucchini required hardly any pressure whatsoever from me – it was like slicing through a room temperature stick of butter. My cousin looked at me and smiled, saying, “I know. It’s a really good knife.” That was my first encounter with a Wusthof blade and I have been a loyal consumer ever since. When it came time to assemble my own wedding registry the first thing I put on were Wusthofs. My loyalty to the brand has actually only deepened through the years. Recently, one of my knives, that I have owned for over a decade, suffered a cracked handle and eventually a piece of the handle flaked off. I called Wusthof and they asked me to send it in. A brand new knife was mailed to me and arrived two weeks later. For free. Obviously they stand behind the lifetime warranty which makes the significant price tag a little easier to swallow. When you buy one of their knives they will guarantee it’s integrity it for as long as you own it. 1. Chef’s Knife: This is the blade I use every day I cook. It is a workhorse and works just as well for an onion as it does for chicken breast. It comes in several sizes and I recommend going into a well appointed shop that carries a good selection to figure out what size fits best in your hand. I have an eight inch knife. 2. Tomato Knife: This instrument is what I turn to when I need to cut through a ripe mango or slice a juicy tomato. The serrated blade cuts through soft flesh much more quickly than a flat blade and makes it easier to chop precisely. 3. Paring Knife: This is the perfect little knife to grab for small jobs like cutting a lemon in half or quartering a kiwi. I often use it to cut up fruit in the morning for breakfast when I can’t be bothered to get out the Chef’s knife – especially before my coffee. 1. Boning Knife: This is right tool for carving a chicken or cutting through meaty ribs. Not necessary for vegetarians. 2. Santoku: A brilliant alternative to the chef’s knife, the santoku has small indentations along the blade to prevent food from sticking to it. At my house, we have both a chef’s knife and a santoku since my husband and I are often chopping in the kitchen at the same time. 3. Bread Knife: This is a large serrated knife that is a must if you are someone that likes to buy an artisanal loaf of bread every week. Like all things, knives will fare better for you if you take good care of them. I never put mine in the dishwasher and try to get them professionally sharpened at least once (ideally twice) a year. I also use a ceramic rod sharpener and give the knives a few swipes before I use them. In a perfect world, I would wash my knives in warm soapy water immediately after use but that rarely happens. The real world version of that is they often are washed the next day, often right before I need them again. I chose to write about knives because a longtime reader asked me to cover the subject. I would love to hear if this helpful to others. Please leave a comment to let me know if you would like to see more posts about kitchen equipment or if you would prefer I stick with the food. I appreciate your feedback! Also, this post contains affiliate links which means that if you click through on any of the knives and buy them, I earn a (very) small percentage of the sale. But please note, that all opinions and Wusthof obsessions are my own. Shveta – am curious if you’ve tried this brand and what you think. I love them for their durability, comfort and price point. Jeff, I’ve actually owned a watch by that brand that was pretty durable but had no idea they also made knives! Based on the reviews, people seem to adore them. I will give them a whirl if I ever need to expand my knife collection. Thanks for the tip! Wusthof was my first knives brand and I’ve stayed with it ever since – 30+ years now. I think I had one knife replaced as well. There are many good brands the main thing is to be well sharpened, and to regularly hone with the steel (not that I’m always good at remembering!). 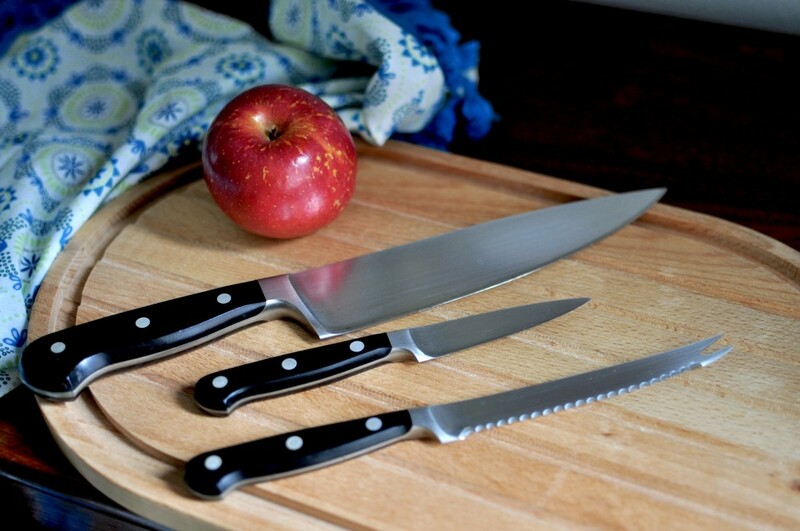 It is really true that we should choose kitchen knives carefully because they are essential tool that can help us to make the food delicious and can help us to make the task faster. Also, it can help us to make the ingredients fresh and good looking. Thanks for sharing.